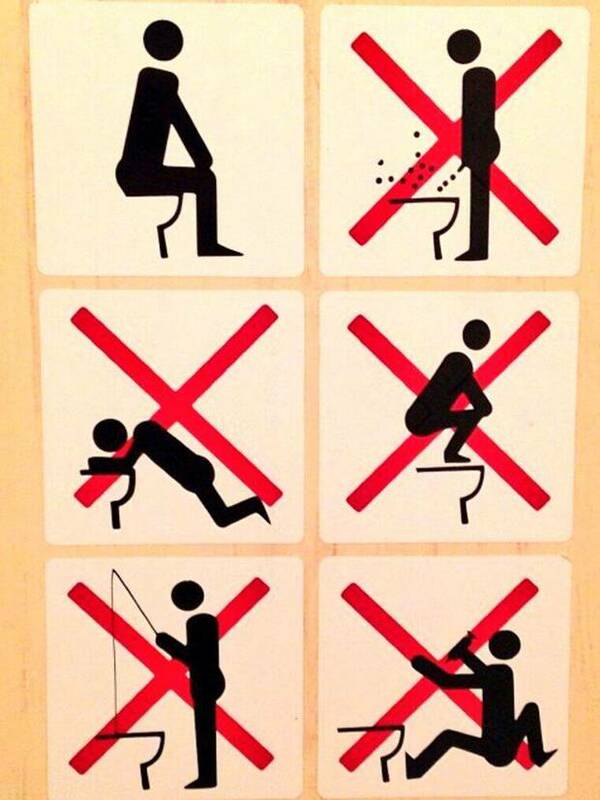 Friendly bathroom sign that allows no standing up, no puking, oh and also no fishing. On top of Roza Khutor, the resort hosting the alpine skiing events, where skiiers can handle there business with a view. 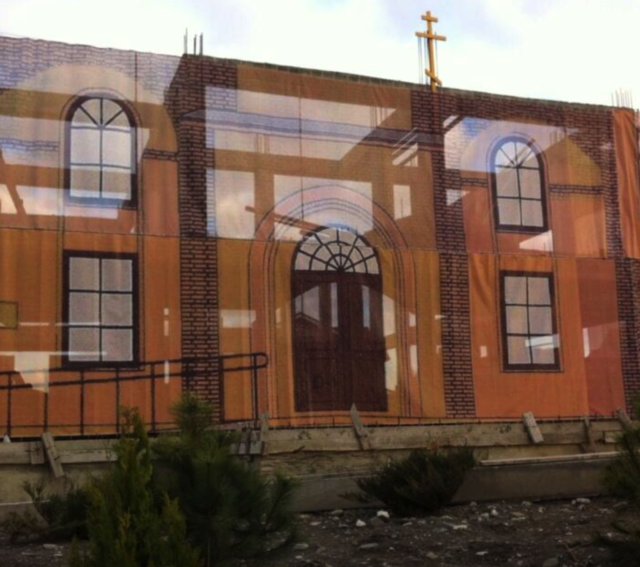 This is an unfinished Cultural Center in Sochi…….that is covered up with a tarp. But enough of that, I want to talk about the actual games so people can actually get excited about something that doesn’t involve bashing Russia. Here are some sports to be looking for, some schedules of events, a few predictions, and some top athletes in those sports. I don’t claim to be the end all know all in all of these sports, the resources I used to research will be at the bottom of this post. 88 Countries are involved in the Winter Olympics (in comparison, there are 205 countries that participated in the 2012 Summer Olympics). Russia has the most participants (233) followed by USA (230) and Canada (221). There will be 294 medals handed out. The countries fighting for the top medal count: Norway, USA, Germany, Canada, and Russia. The countries fighting for the top GOLD medal count: Norway, USA, and Canada. There are 15 sports and 98 events taking place over the next two and a half weeks. One of the most anticipated new events of this 2014 Olympics. Ten teams of 6 skaters will compete (mens singles, womens singles, pairs, and ice dancing) will each perform a short program. The 10 teams get narrowed down to 5 where they then advance to a long program to determine the medals. Look out for Canada. Have potentially the best all around team. USA and Russia will be in contention as well. Heard of Shaun White? This is the event he dropped out of, which is extremely unfortunate as he would’ve been a blast to watch. The rest of the competitors will be performing tricks down a 1,900 foot long course consisting of rails and jumps. Should be an exciting event. Max Perrot and Mark McMorris are favorites for men’s snowboarding. USA should get a gold with Jamie Anderson. Keep an eye out for Maggie Voisin, who at 15 YEARS OLD, will be competing in the women’s skiing event. This is awesome. 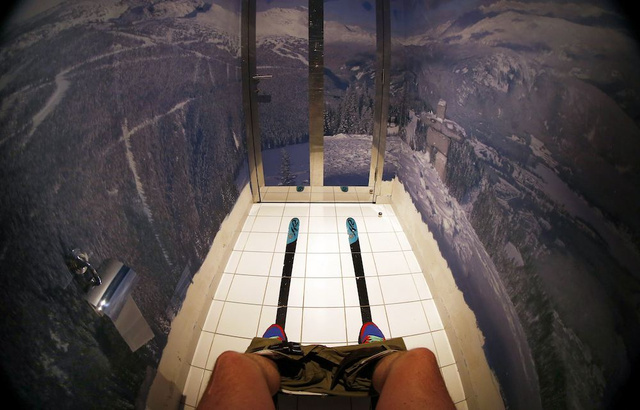 It is exactly like snowboard halfpipe, but on skis. David Wise and Maddie Bowman will be the people to beat, and they are both from USA. Here are some of my favorite classic events and people to look for in this years Winter games. One of the most popular sports in the Olympics, and arguably one of the most important medal opportunity as well. In most countries, hockey is the most popular sport and the most competitive, so you can imagine how important it is to each country. The top teams are Canada: with Sidney Crosby (arguably the top player in the world), Ryan Getlzaf, and Steven Stamkos; Russia: with Alex Ovechkin and Evgeni Malkin; Sweden: with Henrik Lundquvist and the Sedin brothers; USA with Patrick Kane, Zach Parise, and Ryan Kesler. If you want to see how the qualification and tournament seeding goes (be prepared, it’s confusing) go here. Probably the most popular sport among American families, figure skating is back in full swing during these Olympics. Figure skating can be the most unbelievable sport to watch, but also the most devastating when a favorite falls and there chances go down the drain. In the men’s competition, the heavy favorite is Canadian Patrick Chan. With American Evan Lysacek out with injury, the United States doesn’t have a top contender. In the women’s competition, Mao Asada (Japan) and Yuna Kim (South Korea) are favorites. For USA, Ashley Wagner and Gracie Gold could reach the podium, though I do not think they have a shot at Gold. Meryl Davis and Charlie White should be a lock for a top medal in the Dance category for the United States. Though the Americans don’t have any top individual skaters, the depth of the team could be key for them medaling in the new team category. Canada will be a top contender, as well as home team Russia, but United States could surprise everyone with flawless performances. One of the more popular sports in the Winter Olympics, also the most fun to watch. Who wouldn’t like watching 2-4 human beings sliding down ice at 90 miles an hour? In Two-Man and Four-Man bobsled for the men, most Americans who don’t know Steven Holcomb, will know him by the end of the Olympics. No one really knows how well him and his team is going to do. He dominated everything 2010-2012, but struggled in 2013 in Europe. Alexander Zubkov of Russia is a top bobsledder, who could steal medal opportunities from the U.S. In the women’s competition, Elana Meyers is “driving” the top U.S. team, with Jamie Greubel driving the other. Controversial Lola Jones (who complained about how much Olympians get paid) will be the brakeman for the Meyers team. The United States will look to earn multiple medals in Bobsled and compete with the tough Canadian and always tough German teams. Skiing is to the Winter Olympics as Swimming is to the Summer Olympics. Michael Phelps and Ryan Lochte are to the Summer Olympics as Ted Ligety and Bode Miller are to the Winter Olympics (not near as big though). The men may struggle this year (which would really hurt the medal count). Ted Ligety has a chance to do some damage, and barring any bad messups, Bode Miller could surprise some people. Look for Ligety and Miller in the Combined; Miller in Downhill; Ligety in Giant Slalom. Aksel Lund (Norway) is a big favorite to take home several medals in skiing. The women’s side is a bit short with the injury of star Lindsey Vonn. Mikaela Shiffrin could do some damage in Slalom, but look for the U.S. women skiiers to struggle a bit in Alpine skiing. Russia wins Gold in Hockey and the U.S. medals (though it will be tough). U.S. gets swept in figure skating, besides the new team event. Norway will win the total medal count, with the U.S., Canada, Germany, and Russia right behind. U.S. will win the most GOLD medals (barely). No terrorist attack will happen. 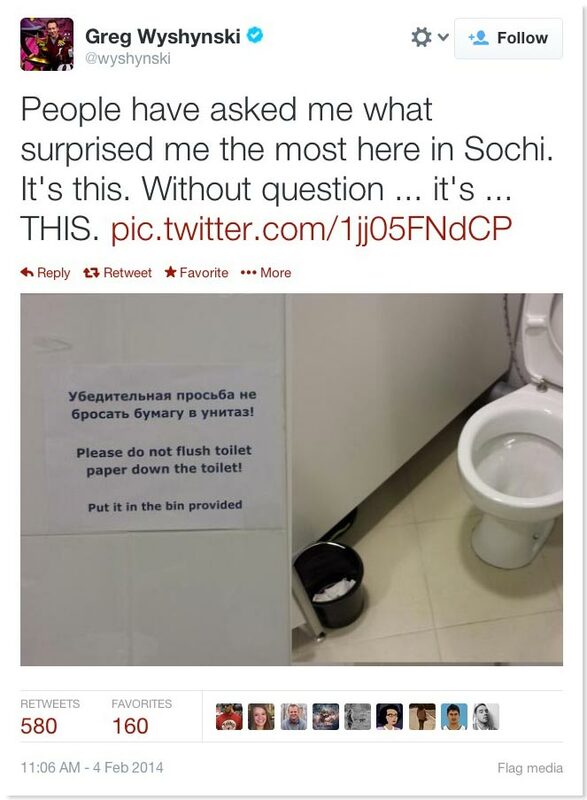 Sochi will end up being a good host city. Thanks for reading, and here are some pump up videos in case you need to get more excited about these Olympics. 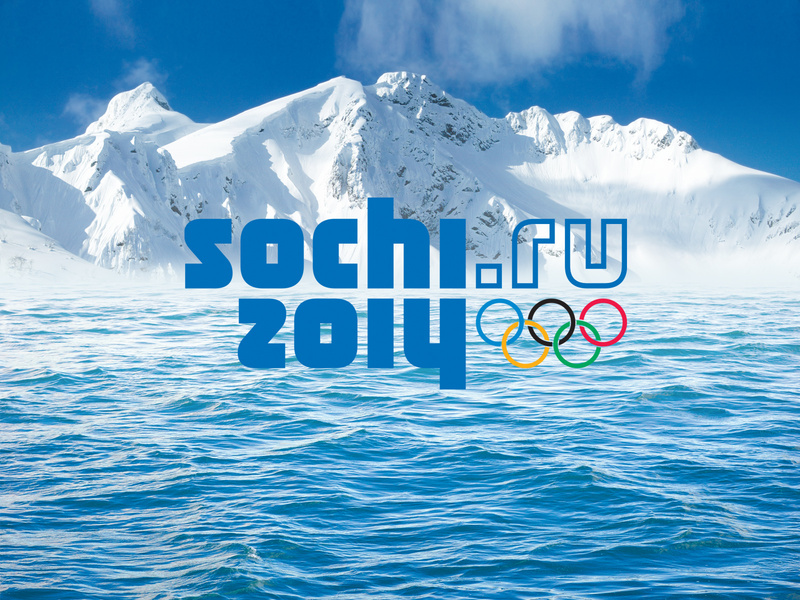 Thanks for reading, and enjoy the 2014 Winter Olympics!